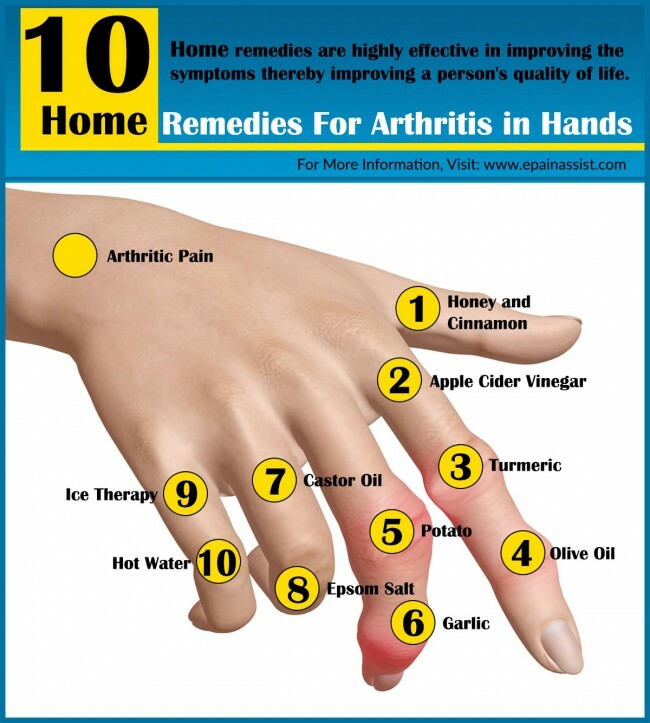 Lot of people suffer with arthritis pain especially in their hand! Arthritis pain is really painful and also causes inflammation. Medical options for arthritis are usually surgeries, but before deciding to get any surgery we would suggest you to try some exercises and you should start as soon as you can, but for some of the exercises you should consult with your doctor. This is easy, put your hand up straight, then slowly bend your hand into a fist where the thumb is on the outside of the hand. Make sure you will be gentle and do not squeeze you hand. Open your hand until the fingers are straight. Do this ten times with each hand. This is pretty much the same as making a fist and the same positions of hand. Once again make sure you bend you fingers slowly one by one when you bend a fingers others should be straight. 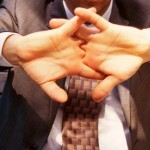 Hold each fingers about ten seconds when you bend them. And do the same with the other hand as well. In this exercise you open your hand. Then gently curve your fingers till they touch. Hold your hand for five to 10 seconds and then straighten out. Use this “0-exercise” few times a day. Place you palms on table and slowly lift your thumbs as much as you can. 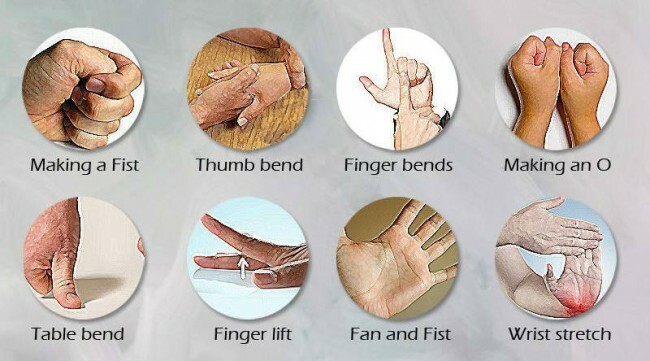 Use this type of exercise ten times in each thumb. Wrist stretch is very important exercise, make sure you do this type of exercise very gently as it helps your wrists getting stronger. While you are doing this exercise hold with the other hand. Push your hand back until you feel the stretch of your hand. Make sure you do this exercise ten times everyday in each hand. Ice pack- Ice is very useful for lot of things and for arthritis pain too. Tea- Tea has antioxidant and anti-inflammatory properties, and can be very helpful for arthritis as well. Honey- Is known to relax stiffened muscles, and is just as good for arthritis. Garlic- Garlic is the best remedy for anti-inflammatory, and it works just fine for arthritis too, apply the juicy garlic on your hands and massage it gently. Epsom salts- Mix two cups of Epsom salt in warm bath water and then soak your hands for 20-30 minutes. Application of eucalyptus oil helps in relieving pain in arthritis naturally at home. Eucalyptus oil consists of anti-inflammatory properties that help in relieving the symptoms. The affect of eucalyptus oil can be enhanced if warmed up a little before applying it over the affected joints. This can be followed by covering the joint with a plastic wrap and application of hot compresses with the help of a cloth or towel. Exercising this at bedtime on a daily basis may help a lot in reducing arthritic pain. Another way of doing it is mixing eucalyptus oil with wintergreen oil and rubbing it over the affected joints. However hot compresses are not required in this procedure. Cherries are also a natural, useful and effective way of treating arthritis naturally at home. Regular consumption of eight to ten cherries helps in relieving pain in arthritis as cherries supplement a good amount of potassium and magnesium. Where magnesium works like a natural painkiller, potassium helps in decreasing inflammation. Cherries can be used in any form such as fresh, tinned and frozen cherries. Cherries can also be taken in the form of syrup which can be prepared by boiling some cherries in water for a few minutes. This syrup should be consumed regularly for a few months. Borage seed oil consists of anti-inflammatory qualities and helps in relieving the symptoms of arthritis naturally at home. Gentle massage of borage seed oil on regular basis on affected area helps in healing the swollen and tender joints. Consuming one teaspoon of borage seed oil regularly helps in relieving pain in arthritis. Although using borage seed oil is safe and harmless taking in borage seeds and other plant parts must be avoided. Ginger is one more common spice that helps in treating arthritis at home in a natural way. Ginger consists of anti-inflammatory qualities that help in relieving the symptoms of arthritis. Regular application of ginger oil on affected joints can do wonders in arthritis by reducing stiffness, pain and inflammation at home naturally. Raw ginger if taken regularly may also help in relieving arthritic pain to a large extent by improving blood circulation. This can be done by including slices of peeled fresh ginger in each meal. Black cohosh is an American Indian herb that helps in relieving symptoms of arthritis. 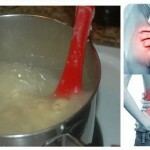 It is an effective home remedy for arthritic pain. Black cohosh contains anti-spasm and anti-inflammatory properties that help in relieving the symptoms of arthritis in a natural way. Crude blackstrap molasses have the quality of getting dissolved easily in water. Consumption of crude blackstrap molasses on a regular basis helps in eliminating joint pain in arthritis. Molasses is a very good supplement of minerals such as magnesium, iron, and potassium. As molasses is also a concentrated sweet therefore it is necessary to clean or rinse the mouth thoroughly after consumption else it may lead to dental problems. Dandelion leaves are also very helpful home remedy for treating arthritic condition. Dandelion leaves are good supplements of vitamin A and vitamin C. Therefore consumption of raw dandelion leaves in salads not only repairs the damaged tissues but also provides strength to the liver for clearing the toxins away from the blood. Fresh young dandelion leaves are soft whereas older dandelion leaves are tough for raw consumption and therefore steaming or sautéing is necessary when they are used. Dandelion leaves can also be consumed in the following ways. Cook the dandelion leaves with olive oil or garlic to make an interesting dish. 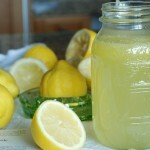 Put one teaspoon of dried dandelion leaves or three teaspoons of fresh dandelion leaves and boil in one cup of water. Turmeric is a common spice which can easily be found in every house and is helpful in treating arthritis naturally. Turmeric contains anti-inflammatory properties. Consuming turmeric regularly helps in reducing inflammation. Taking 500 mg to 1000 mg turmeric capsules thrice a day helps in relieving pain in arthritis. Apart from this regular consumption of fresh turmeric juice or milk with turmeric powder added to it can aid a lot. Flaxseed is also very helpful home remedy in treatment of arthritis. Flaxseed is a very good supplement of Omega-3 fatty acids that helps in production of anti-inflammatory hormones. Flaxseed can be used in the following ways. Consume one tablespoon of flaxseed twice or thrice in a day. Adding flaxseed to the bread, cereal and any other meal. Mixing flaxseed powder with any type of vegetable or fruit juice. Consume one teaspoon of flaxseed oil thrice in a day. Epsom salt is also very useful, effective and natural way of treating arthritis. Epsom salt is a very good supplement of magnesium which provides help in regulating the pH levels in the body. Take half cup of warm water and mix Epsom salt with fresh lemon juice in equal amounts and consume one teaspoon of this preparation in the morning and one at night regularly. Another way of doing it is putting three to four cups of Epsom salt in hot bathwater in order to soak the body in it. This not only relaxes the body but also helps in relieving pain. Alfalfa is also an effective herb helpful in arthritis. Alfalfa is a very good supplement of vitamin A, B, D, E and G. Alfalfa’s peculiarity is it is rich in quantity, quality and proper balance of phosphorus, chlorine, calcium, sodium, magnesium, silicon and potassium. A cup of tea from seeds of Alfalfa can be prepared by putting few Alfalfa seeds to little amount of boiling water. Consuming this tea two times regularly for about two to three weeks helps in getting some relief from inflammation causing arthritic pain. Apart from this using alfalfa capsules on a regular basis could also be helpful. Cinnamon is also very helpful in treating arthritic pain naturally at home. Cinnamon contains anti-inflammatory and anti-oxidant properties. Mix half teaspoon of cinnamon powder with one tablespoon of honey and one cup of warm water and consume it every morning on empty stomach regularly to get relief from arthritic pain. Apart from this, gentle massage of the mixture of cinnamon and honey paste to the affected joints is also helpful. Fish oil contributes a lot in the treatment of arthritis. Fish oil contains omega-3 fatty acids that have an anti-inflammatory effect and hence reduces both arthritic pain and joint inflammation. Regular consumption of one to two teaspoons of fish oil helps in relieving symptoms of arthritis naturally at home. Morning stiffness in arthritis can be reduced by taking fish oil supplements on empty stomach in the morning time.